Academic Standards: Reading, Speaking, Writing and Creative Expression. 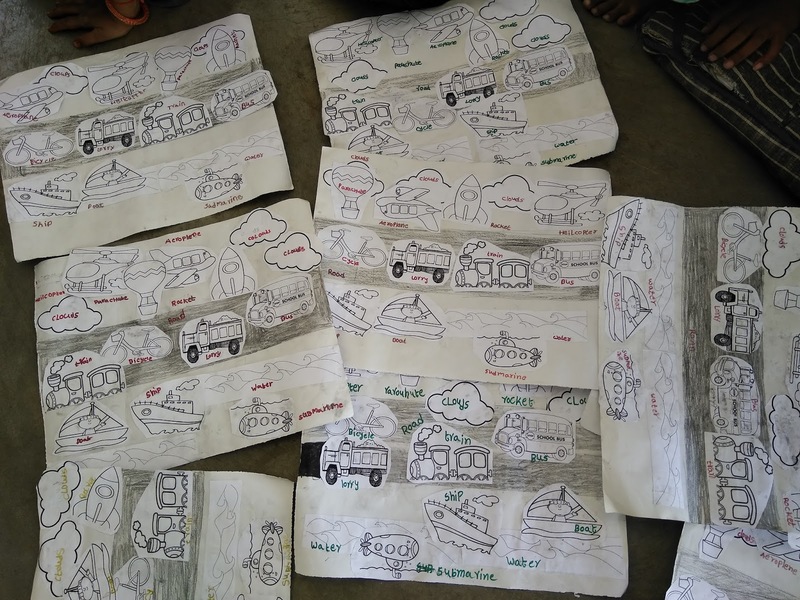 I thought it is a good activity to give an overall concept of transportation. 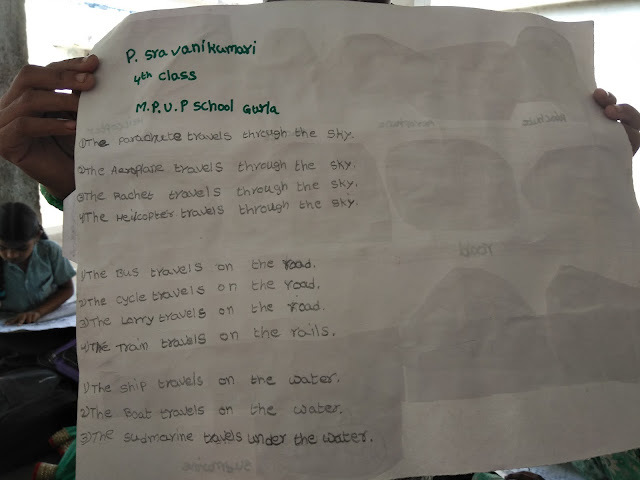 Children were engaged very well and conceptual writing took place by this activity. 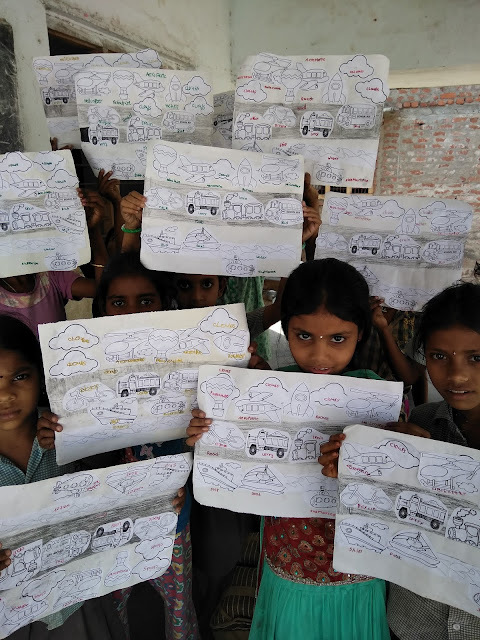 It gave a clear knowledge of all types of vehicles which are not given in the lesson. Once I supplied the pictures of different types of vehicles, they pasted as per their medium on the chart. The bus travels on the road. The train travels on the rails. The Submarine travels under the water. The Aeroplane travels through the sky. And then I asked my children to read those sentences in pairs. Later I called them one by one and asked them to read what they wrote. So a simple activity gave an opportunity to target the four strands of language. I believe that activities will boost children's learning capacity. As a govt teacher, I am always searching for such great and simple activities. Such activities will help my remote and first-generation children to get the maximum subject skills, especially in English.